Here are some pictures of my MITS Altair 8800a model. This unit has been on loan with Dan Roganti who has restored power to the unit by replacing some caps (I believe). More to come in early 2010. 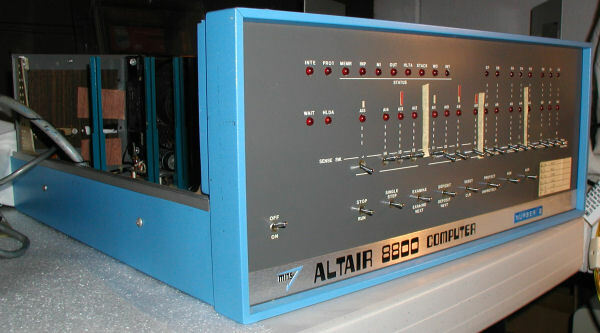 The relatively rare Altair 8800a model was advertised by MITS for less than a year. Note the front plate variation compared with the original model. Click image for larger view.